The Norman Line s.n.c. is specialized in multilingual excursion service to the most beautiful Sicilian destinations from Catania area. From March to October the trips program prevides daily departures while, from November to Febrary, the activity is reduced. The excursion's quality is supported by the presence of local guides directly trained by the Norman Line for every destination. 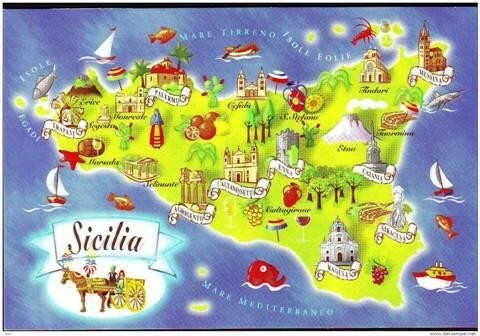 Sicily itineraries are organized stress-free for tourist and allow him to enjoy his tours in total relaxation and to enjoy every detail of his vacation in Sicily. The major Tour Operators and Travel Agents operating in the Italian market sell Norman Line excursions for their Italian and English speaking clients, Norman Line, on request, offer the same services to those groups who want to organize independent their own excursions in Sicily.